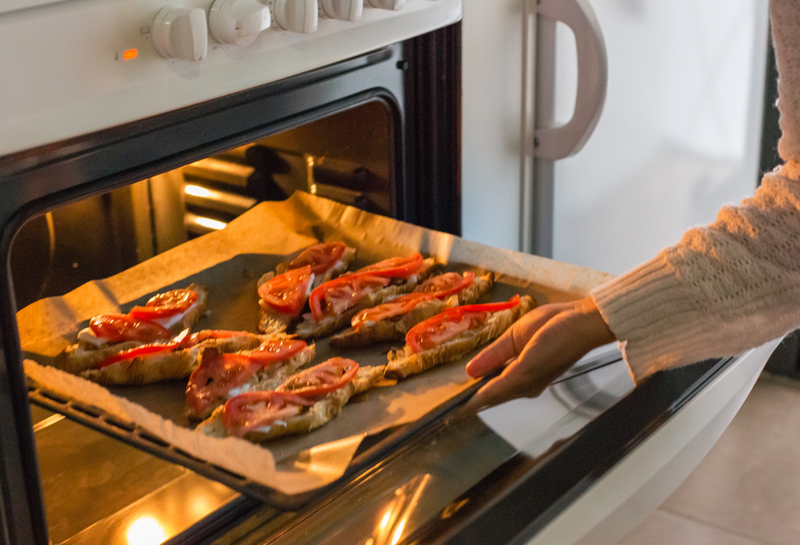 “Food is our common ground, a universal experience.” We couldn’t agree more with American cookbook author James Beard – food is a social glue that brings us together across cultural borders. But during UMC’s Orientation Week, we created a cooking competition for our incoming class that was less universal, and more unique. You’ll find many great cooking competition shows when flipping through TV channels – classics like Iron Chef, along with some newer additions such as Top Chef and Chopped. But why re-enact only one of these great shows? We took our favorite elements from each competition to create United Master Chef. Students were divided into teams of three. No cooking competition is complete without a secret ingredient – so we gave them three. There was one ingredient for the appetizer, one for the main course, and a final ingredient for dessert. We didn’t want to make it too easy for the chefs, so we sent them into empty kitchens with a strict budget, and a time limit for planning, shopping, and cooking. 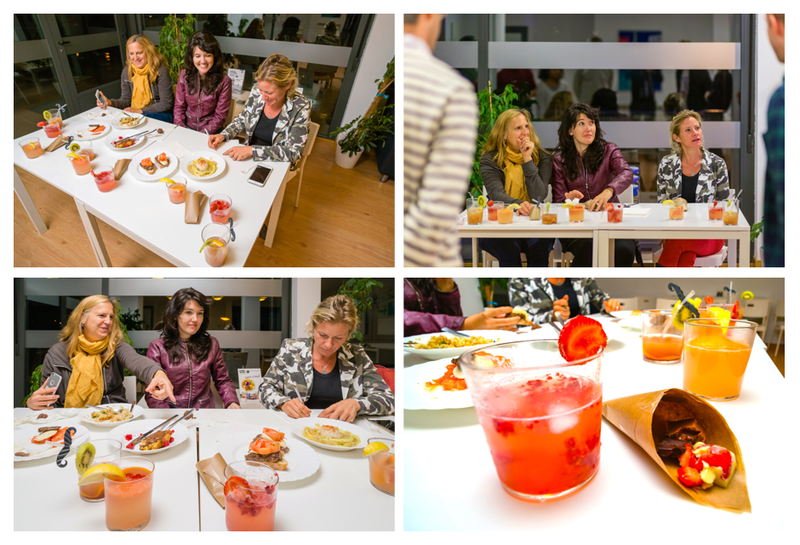 The three teams went their separate ways to plan menus, sharing recipe ideas under their breaths in an effort to conceal their schemes from the competing trios. There was talk of gazpacho and cherry tomato salad for the tomato appetizer. Most were simply baffled by squid as the main course. On the flip side, the chocolate dessert seemed to present too many options to choose from. UMC students had 30 minutes to find all the necessary ingredients. 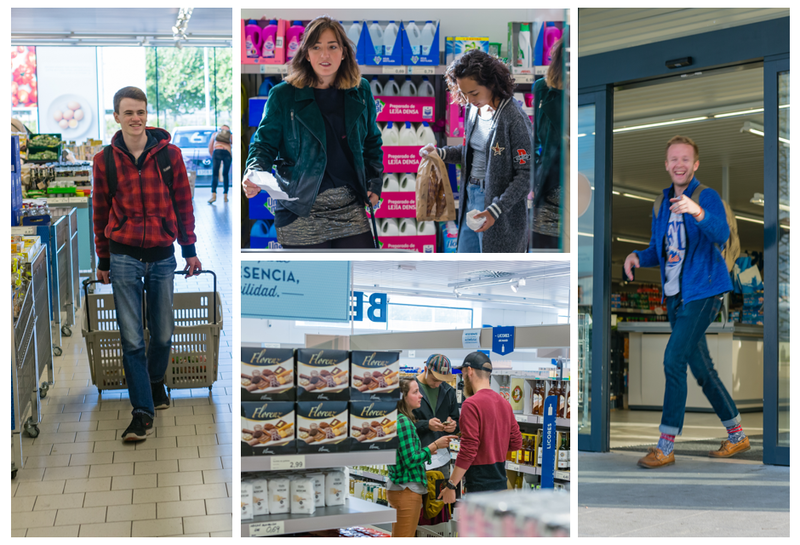 After about 45 minutes of planning, the teams ran to the nearby Aldi to buy all their required ingredients within the 50 euro budget. The real drama started during the search for ingredients. Students were scouring the aisles for soy sauce, basil, cocoa powder. Cries of frustration rang out as one group realized that there were no ripe avocados. There were Plan B’s, and later Plan C’s. Some realized that the chefs on TV made it look pretty easy by comparison. Then it was time to cook like they had never cooked before. It turns out that some of them had literally NEVER cooked before. David is showing some mad skills as he chops bread inside a porcelain soup bowl. The boldest went straight for the squid – a few attacked with blind confidence while others sought guidance from the Internet. Tomatoes were butchered. Chocolate was melted, frozen, and most definitely sampled along the way. The melt-in-your-mouth croissant pizzettes were amazing. Judgment time came faster than everyone expected – as it always does. As the plates rolled in, the students got a first look at their competition. One by one, the courses were each presented, tasted, then tasted again. The three judges gave nothing away as they silently nibbled on each dish – were the tomatoes ripe? Was the squid overcooked? Had the chocolate truffles formed properly? Suffice it to say, everybody was blown away by the results. EVERY dish was tasty! The judges (one of whom trained as a chef) held the dishes to rigidly high standards, but all agreed on the high caliber of the food. We were all a little shocked. But this is no joke, the cooked dishes were ridiculously good! 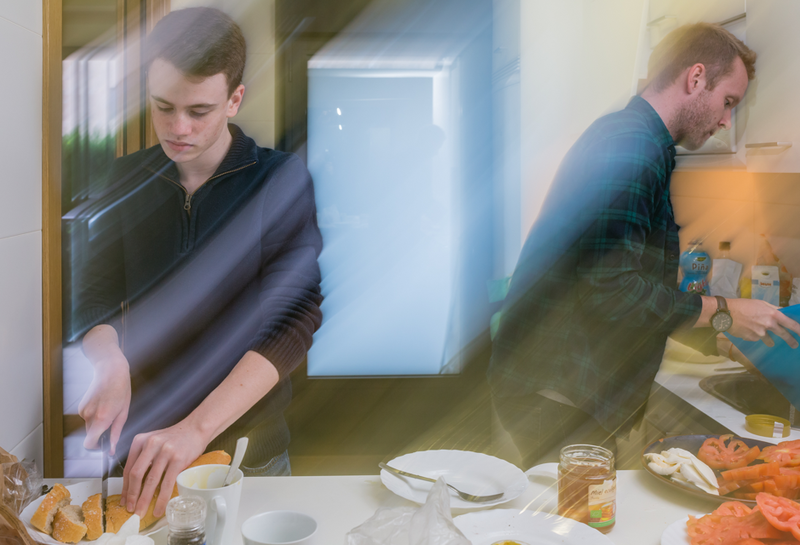 We certainly didn’t expect it, as none of the students had much experience in the kitchen. The judges were strict, but fair. The judges then settled in for a lengthy deliberation – which was no less dramatic than the competition. In the meantime, the students feasted on the leftovers, clearly proud of themselves for surviving the challenge. Though they had just met a few days earlier, you could already see the beginnings of new friendships among the students as they shared their dishes and complimented each other’s creations. 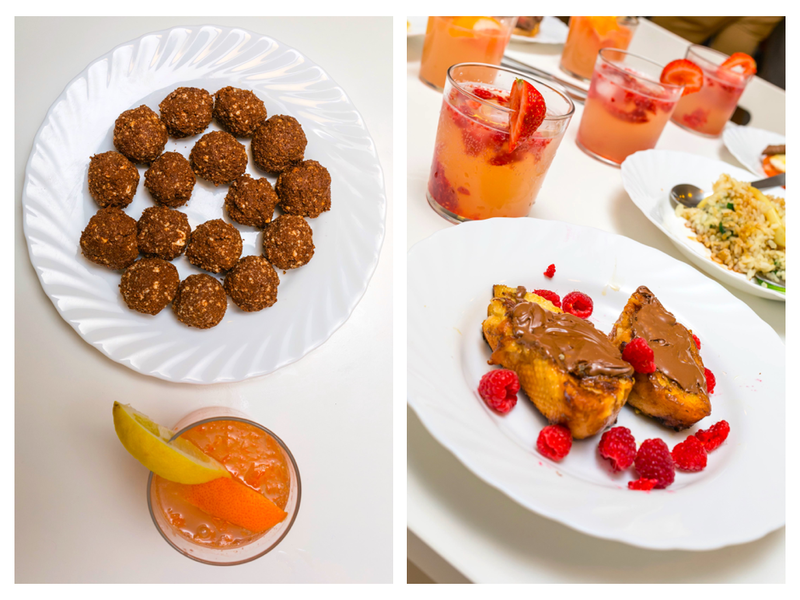 Desserts were to die for – with the chocolate balls and “burned” Nutella french toast being the crowd favorites. After such great success, UMC’s United Master Chef competition is now a tradition. As a member of Quest University’s third graduating class, Heather Harden discovered her active interest in alternative educational philosophy. Heather joined United Mint Campus to advance her mission of challenging education’s status quo.